Two teens were charged with capital murder in the death of a woman who was found dead earlier this month. 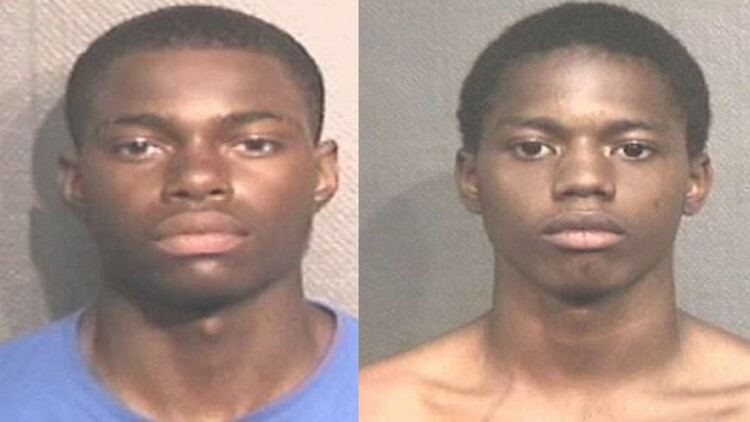 HOUSTON – Two teens were charged with capital murder in the death of a woman who was found dead inside her garage last Friday. According to court documents, Teihjon Shannon, 17, and David Paul Jones, 17, are charged with capital murder in the death of Clara Barna. The teens were arrested on Monday. Investigators with the Houston Police Department, Barna died from blunt force trauma during an apparent robbery. The Houston Police Department said the victim's neighbors called 911 around 10 p.m. Friday after they noticed a strange smell coming from the home in the 12700 block of Leader St. According to homicide detectives, the woman's red 2003 Buick LeSabre was missing from the garage. After a quick investigation, detectives discovered her vehicle may have been used during a dine and dash at the Denny's in the 6700 block of W Sam Houston Tollway back in June. The video of two males leaving the Denny's after skipping out on their bill eventually helped lead to Shannon and Jones.